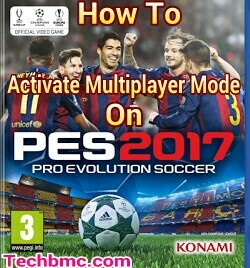 Have you tried activating Multiplayer mode on your PES 2017 ISO game or on the previous version pes 2016 iso apk ppsspp. and couldn't achieve the set up due to one reason or the other? Or are you searching for a guide on how to play multiplayer mode on pes 2017 and pes 2016 apk with your sports inclined soccer game friends? Then search no more, here comes the final and sure guide to get your soccer game play on multiplayer mode. Without doubt, PES 2017 ISO apk, is currently one of the best played soccer games in the world of sports games. Now, talking about this multiplayer mode which we all enjoyed in the previous version of pes 2016 on our Android devices, the feature has been modified with nice sophisticated play mode. Read on to see how it works. Due to much request for this tutorial by fans, I took out my time to make it simplified in order to carry all along in setting up this multiplayer mode. So whether you are a tech savvy or not, meticulously follow me step by step as I lead you straight to the tips involved. Meanwhile, if you haven't download the game, click here to download PES 2017 ISO PPSSPP for android. And then follow the below settings to get it play on multiplayer. First thing to do is to creat connection between the both devices through hotspot, and the other device joining by scanning with WiFi connection. ( is just like when you are trying to connect a mobile device that has data MB, to a PC for browsing. ) At this stage, am sure all knows how to do it. 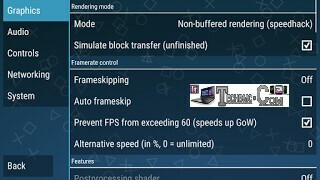 Next, open the PPSSPP Gold and find settings >> Networking, just set it like the provided below image. Don't forget, remember that the both phones must certainly have the same settings as indicated in step 2 and 3 above. Navigate to settings >> Graphic and as seen in below image or you can set it according to your own test. Go to where you see Match then ADHOC. Then tell the other user controlling the other phone, to join the connection just by going to Match >> Adhoc and search for your Room Name "Bob"
Now, click on the room name when seen in order to join. If the connection becomes successful at this stage, then goto match and set up the team, formation and other things you will be playing with and your friend too should do same. Also the above settings can also be used for PES 2016 ISO in case you are still playing it. That's all for Pes 2016 iso and pes 2017 iso ppsspp Multiplayer activation. Enjoy the Pro Evolution Soccer by konami, with your friends.